odpověď by měla obsahovat fakta o tématu Česká republika. Where is the Czech Republic (the CR) situated? Tell me about it. Which are the neighbouring countries of the CR? Tell me about it. Where are the neighbouring countries situated? Tell me about it. What is the geography of the CR? Tell me about it. What is the climate of the CR? Tell me about it. What is the population of the CR? Tell me about it. What is the capital city of the CR? Tell me about it. Into which three political parts can the CR be divided? Tell me about it. Which are the main administrative parts of the CR? Tell me about it. What is the political system of the CR? Tell me about it. Who is the actual president of the CR? And prime minister? Tell me about it. Which are the biggest political parties? Tell me about it. How can you travel in the CR? Tell me about it. Where are the international airports of the CR? Tell me about it. Which places of the CR are the most popular for tourists? Why? Tell me about it. Which holiday destinations are popular for the Czech tourists? Why? Tell me about it. What are the traditional Czech meals? Tell me about it. How would you describe a typical Czech? Tell me about it. How would you describe a typical Moravian? Tell me about it. Which people from the CR are world-famous? Why? Tell me about it. Which place in the CR is your favourite? Why? Which place in the CR would you recommend to a tourist? Why? What is your favourite Czech music? Why? What is your favourite Czech meal? Why? Which Czech film do you think is the most popular abroad? Why? Which means of transport do you think is the most popular for Czechs? Why? What is better for you: living in Prague or in the Czech countryside? Why? Do you understand Slovak? Tell me about it. Do you think people from the neighbouring countries like the CR? Why? / Why not? Have you ever thought of living in another country? Why? / Why not? Jak si s tímto zadáním o České republice poradíte Vy? Příspěvek byl publikován v rubrice Česká republika se štítky Czech Republic a jeho autorem je NovýAmos.cz. Můžete si jeho odkaz uložit mezi své oblíbené záložky nebo ho sdílet s přáteli. Krušné hory, Jizerské hory se překládají jako Krušné Mountains a Jizerské Mountains nebo Ore Mountains, Giant Mountains? chtěl jsem se zeptat když dostanu otázku typu What is the capital city of the CR? Tell me about it. Odpovím: The capital city of the CR is Prague. Co víc bych k tomu měl říct? nebo tohle stačí? 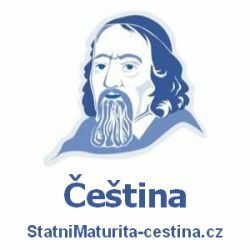 Elone, abyste u maturity ukázal bohatost Vaší slovní zásoby, doporučujeme odpověď ještě iniciativně rozšířit, např. : “The capital city of the Czech Republic is Prague. It is also the biggest city of the Czech Republic. It is a centre of government, business…” 🙂 Doporučujeme tedy minimálně 20 slovy a věcně.